Overview: Trolling for treasures has never been so easy and risk free! Discover the same thrill and excitement on Trolling for Treasures online slot game and hunt perhaps much better treasures! There are three bonuses in this online slot machine. Scatter Pay Bonus: You can win the scatter pay bonus by getting at least 3 Blowfish symbols anywhere on the board, regardless of whether you wagered on the lines they are found on. 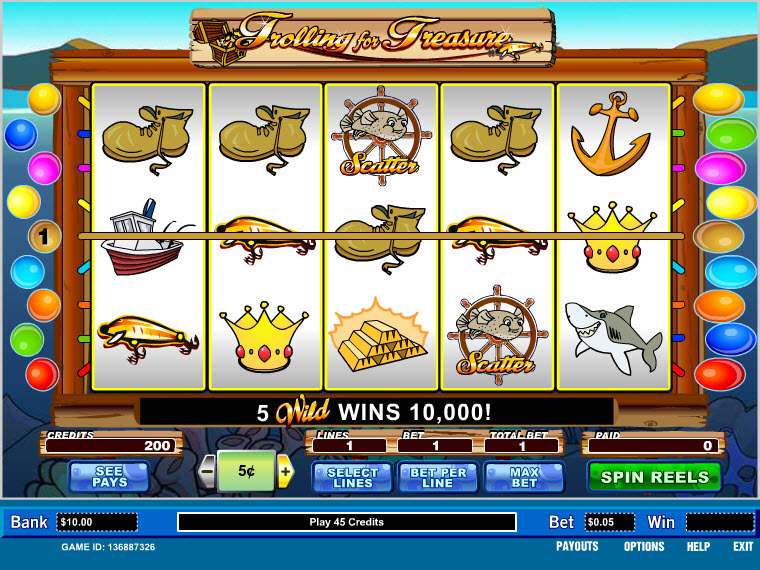 Hit 5 Wild symbols on a Max Bet and win 10,000 credits! The Wild symbol will also substitute for all symbols except Bonus and Scatter symbols. 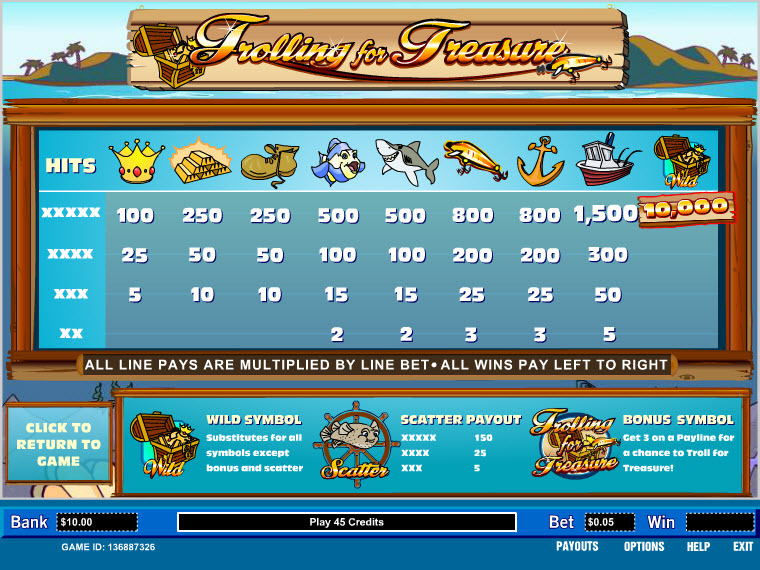 You can play the Treasure Bonus round by getting 3 "Trolling for Treasure" symbols on any payline that you have wagered on. Simply choose one of the 5 treasure chests to uncover a bonus prize that will award you between 10 and 50 times your bet per line multiplied by the number of paylines you wagered on. Similar Slots: If you like Trolling For Treasures, you might like these other slot machines from Parlay: Double Diamond, Karat Crazy, Lucky 7s, Makin' Bacon, Wild Cherry.